When purchasing a bungalow the new owner will automatically be enrolled as a member of Linstone Chine Management Co Ltd. As such there are a number of rules and regulations designed to ensure the smooth running of the site and that everyone can enjoy their holiday bungalow. Not to occupy the holiday bungalow between 15th November and 19th December and 4th January and 14th February each year. To pay the company’s legal cost when selling the bungalow. To pay a service charge, water bills and electricity bill. Not to make any alterations to the outside of or the area surrounding the bungalow without the directors’ permission. To place all refuse in either the recyclable or non-recyclable containers in one of the main refuse compounds. Boats up to 20’ OAL may be left on site during the open season. Longer ones may not. To park cars considerately and in particular not on grassed areas. Owners may bring dogs which are kept under control but guests may not. Short Breaks available from £60 per night for up to 4 people. 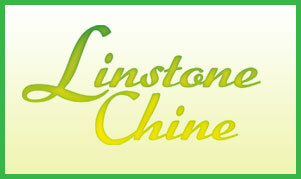 Linstone Chine has installed a WiFi system across the site. Access is unlimited and available 24 hours a day. Do you require food or non-food items or a newspaper from our Shop on arrival at site? If so, you can now place an order online before your arrival. This will be emailed to Linstone Chine site office with a copy sent to you.